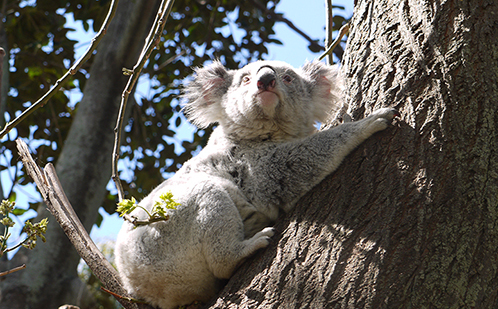 Western Sydney University has celebrated a landmark donation of $10million from Mr Leonard Ainsworth AM and Mrs Margarete Ainsworth. 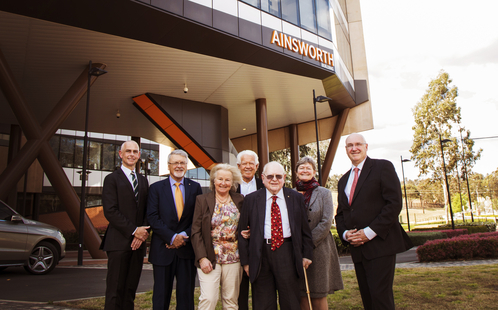 Their generous gift will support the University’s health and medical research and in recognition, the building which houses the School of Medicine on the University's Campbelltown Campus has been named the ‘Ainsworth Building’. Speaking at the unveiling ceremony on Friday 28 September, Vice-Chancellor Professor Barney Glover expressed the University’s gratitude to the Ainsworths, saying that the donation would help position the University to deal with some of the most significant health challenges of the region such as diabetes, cancer and dementia. “We currently stand in one of the fastest growing regions in the country, with the fastest growing populations,” said Professor Glover. The decision of the University to name buildings on campus is a significant one, undertaken only when donations of scale are made. The Ainsworth’s gift will enable the university to enhance its support for medical research endeavours while continuing its commitment to building research capacity across the Western Sydney region. It will leave a lasting legacy for generations to come.